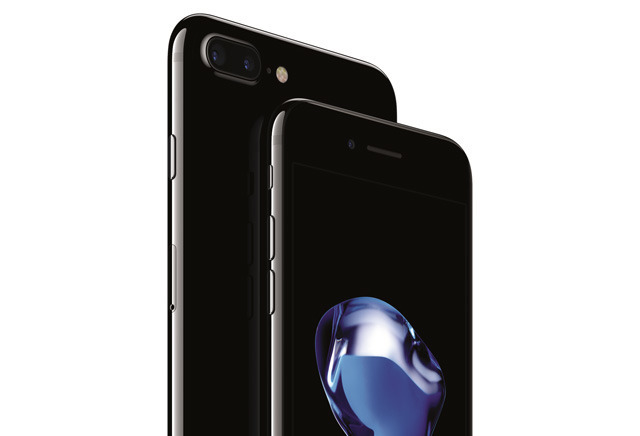 Apple shipped an estimated 16.9 million units of the iPhone 7, and 15.1 million of the 7 Plus, Strategy Analytics said. Respectively the products captured 5 and 4 percent of the market. The Galaxy S8 saw about 10.2 million shipments, while the 6.2-inch Galaxy S8+ managed 9 million. The next closest competitor was Xiaomi's Redmi 4A, which managed 5.5 million. Smartphone shipments grew year-over-year overall, from 341.5 million to 360.4 million. Apple is thought to be on the verge of announcing three new iPhones: the OLED-equipped "iPhone 8,", and more conventional "iPhone 7s" and "7s Plus" models. 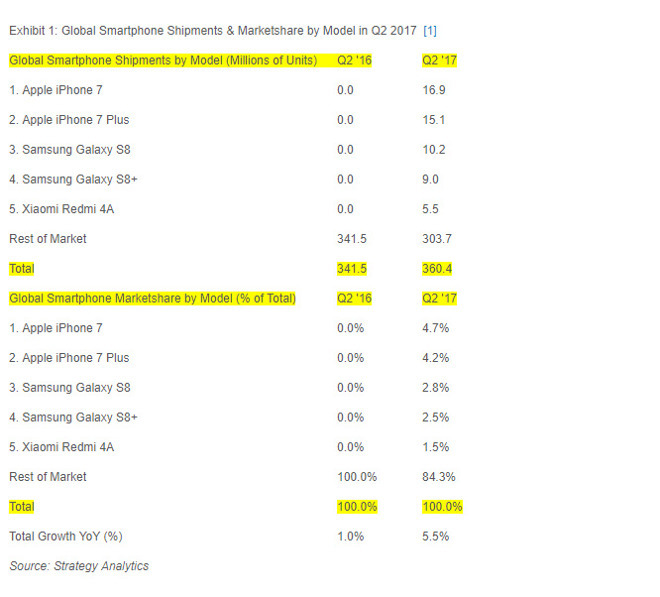 Broader iPhone sales will probably suffer until those products are released. The company is likely hoping to drive as many people as it can to the "iPhone 8," which may become the first iPhone to cost over $1,000, at least in some configurations. A 256-gigabyte iPhone 7 Plus is $969 before tax.